Heading on a road trip this summer? 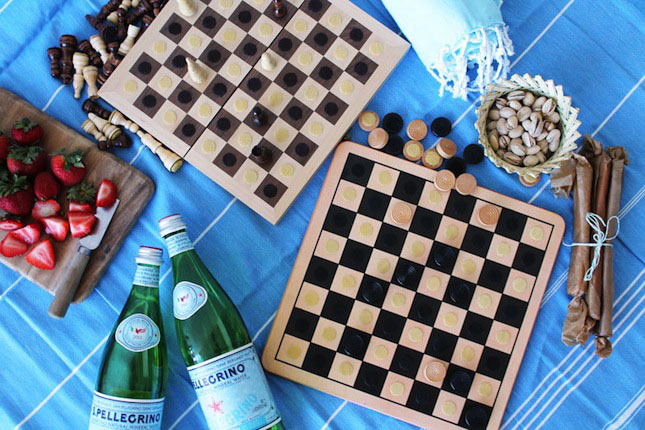 Or just love kicking it in the park with a couple classic board games? 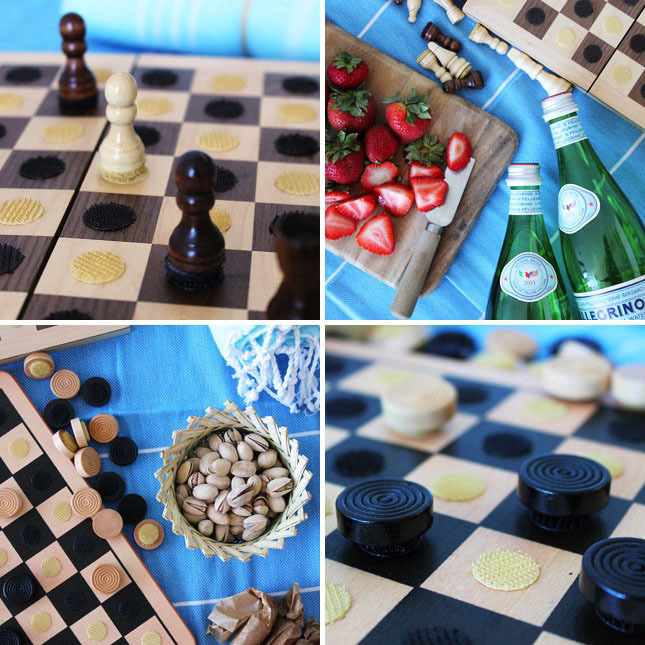 If traveling light is not top of mind and you’d rather play a full size board game than those miniature magnetic ones, follow our tutorial for how to turn lovely wooden checkers and chess sets into full-size travel games. The trick? VELCRO® Brand Sticky Back White Coins, of course! If you choose a more colorful game, simply choose spray paint that matches all the tiles or squares in your game. 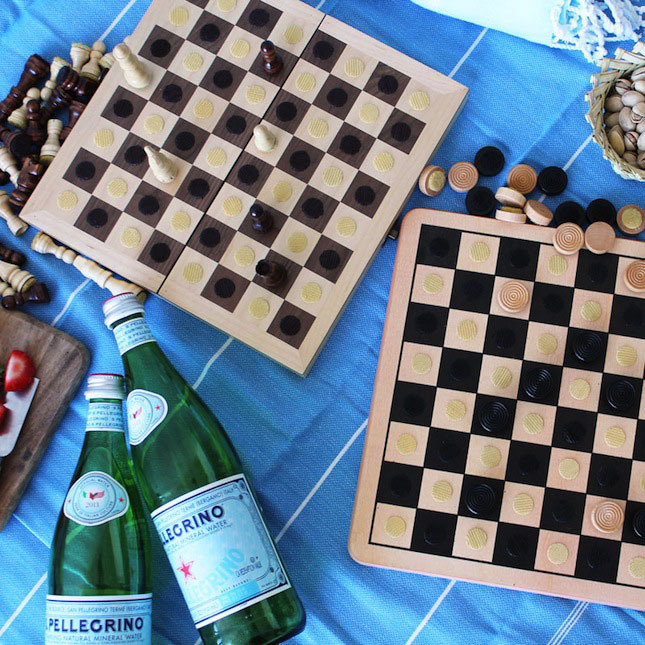 We wanted a more rustic picnic-while-playing-board-games vibe, so we went with all wood. 1. 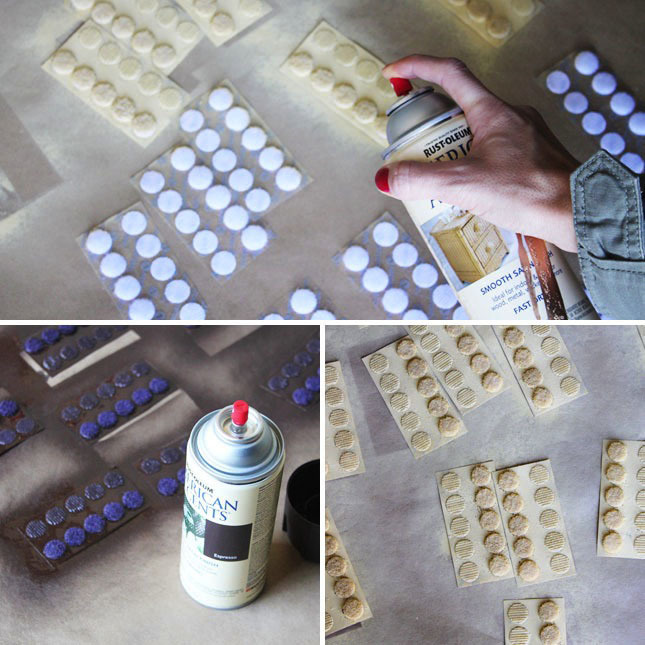 Spray paint your VELCRO® Brand Sticky Back White Coins in colors that match your boards. For darker shades, you’ll probably need two coats. Let dry for 30 minutes. 2. 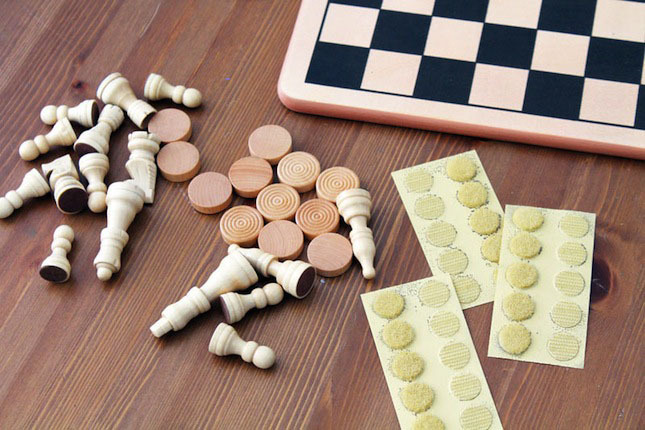 Now gather your pieces, boards, and VELCRO® Brand Sticky Back White Coins (now in different colors!) together on your workspace. 3. Attach the “sharp” side (also known as the “hook”) of the coins to the board and the soft side (aka the “loop” side) to your pieces. You’re just about done! 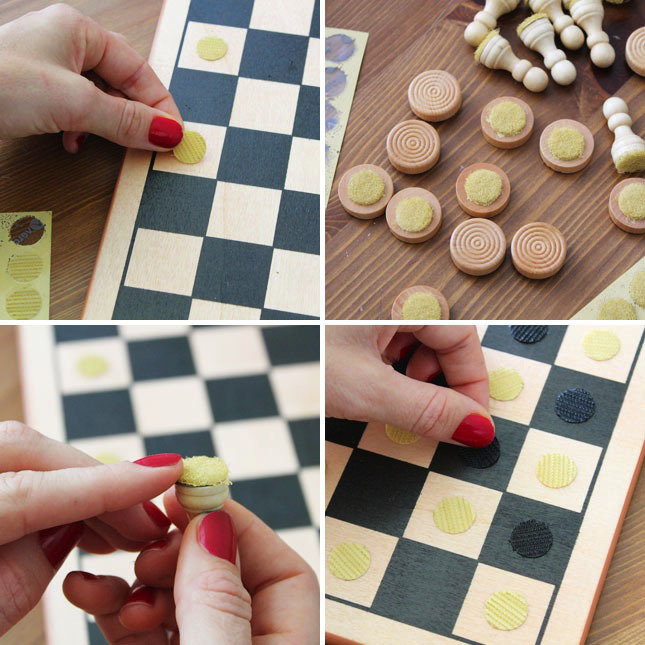 And now you’ve got a chess or checkers set, ready to play on the move. This is also great for keeping your pieces in place if you’re playing a game over a few days. Doesn’t this look like a picnic you want to be part of? ? Now hit the closest park armed yourself with fizzy water, strawberries, pistachios, and the like. Whichever game you fancy, this is such a fun way to make full-size games travel-friendly!